"On prior trips to Ha Giang I have taken the very comfortable bus from Hanoi to Ha Giang and organized transport from there. That was when I was by myself. This year I am doing a proper trip there, armed with a list of recommendations of things to do and see from my ethnology colleagues in Hanoi. There are two of us and we hired a car, driver, and a guide from Hanoi. " If what you're looking for is a conveniently located hotel in Ha Giang, look no further than Dao Lodge Nam Dam. Situated only 45 Km from the city center, guests are well located to enjoy the town's attractions and activities. With its convenient location, the hotel offers easy access to the city's must-see destinations. 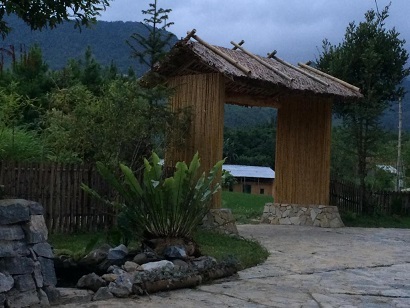 The facilities and services provided by Dao Lodge Nam Dam ensure a pleasant stay for guests. While lodging at this wonderful property, guests can enjoy 24-hour room service, free Wi-Fi in all rooms, 24-hour security, daily housekeeping, fireplace. Experience high quality room facilities during your stay here. Some rooms include cleaning products, towels, wooden/parqueted flooring, clothes rack, slippers, provided to help guests recharge after a long day. The hotel offers fantastic facilities, including hiking trails, garden, to help you unwind after an action-packed day in the city. Whatever your reason for visiting Ha Giang, the Dao Lodge Nam Dam is the perfect venue for an exhilarating and exciting break away. 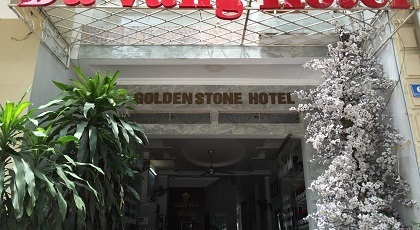 Featuring free WiFi, Golden Stone Hotel offers pet-friendly accommodation in Ha Giang. The rooms are equipped with a TV. Some rooms have a seating area to relax in after a busy day. You will find a kettle in the room. Rooms are equipped with a private bathroom equipped with a shower. For your comfort, you will find slippers and free toiletries. You will find a 24-hour front desk at the property. The hotel also offers bike hire and car hire. Built in 2016, Huong Thao 2 Hotel is a distinct addition to Ha Giang and a smart choice for travelers. With its location just from the city center and from the airport, this 1-star hotel attracts numerous travelers each year. With its convenient location, the hotel offers easy access to the city's must-see destinations. 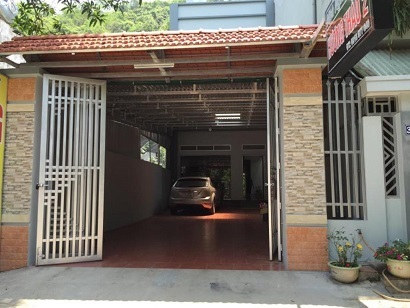 Huong Thao 2 Hotel also offers many facilities to enrich your stay in Ha Giang. A selection of top-class facilities such as 24-hour room service, free Wi-Fi in all rooms, 24-hour security, daily housekeeping, grocery deliveries can be enjoyed at the hotel. Experience high quality room facilities during your stay here. Some rooms include closet, dressing room, towels, clothes rack, slippers, provided to help guests recharge after a long day. Besides, the hotel's host of recreational offerings ensures you have plenty to do during your stay. Discover an engaging blend of professional service and a wide array of features at Huong Thao 2 Hotel. 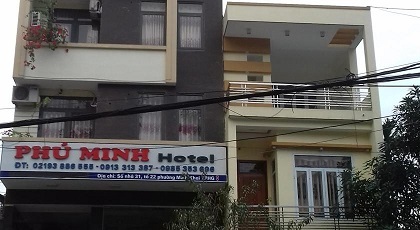 Phu Minh Hotel offers accommodation in Ha Giang. Free WiFi is offered and free private parking is available on site. The rooms have a flat-screen TV with cable channels. You will find a kettle in the room. The rooms include a private bathroom with a bidet and shower, with slippers provided. 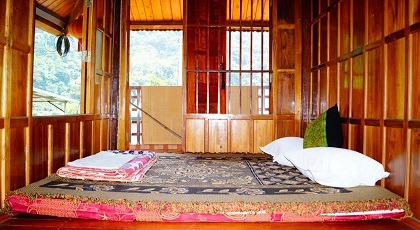 Featuring free WiFi throughout the property, Jungleman Homestay offers pet-friendly accommodation in Ha Giang. Free private parking is available on site. Each room is equipped with a TV with cable channels. The rooms include a private bathroom with a bath and bidet, with slippers and a hairdryer provided. Bike hire and car hire are available at this bed and breakfast and the area is popular for cycling. You can engage in various activities, such as fishing and hiking.